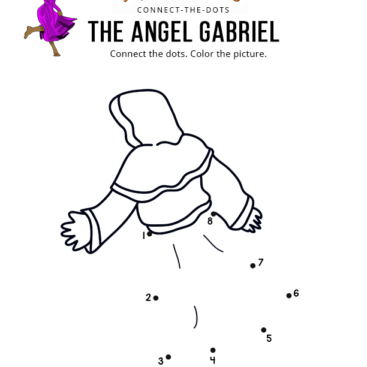 Important: This is an 84-page downloadable activity book in PDF format. Nothing will be shipped. Instant Download! 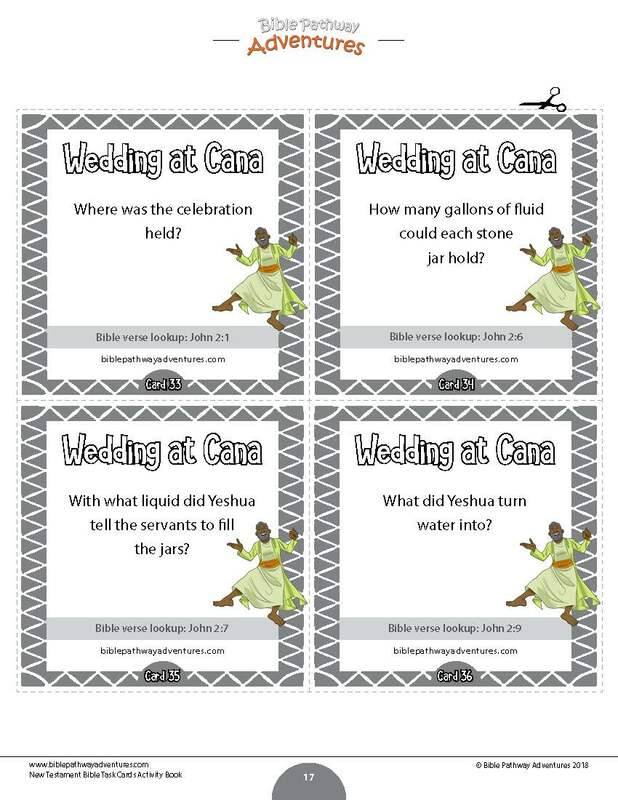 Make Bible learning fun! 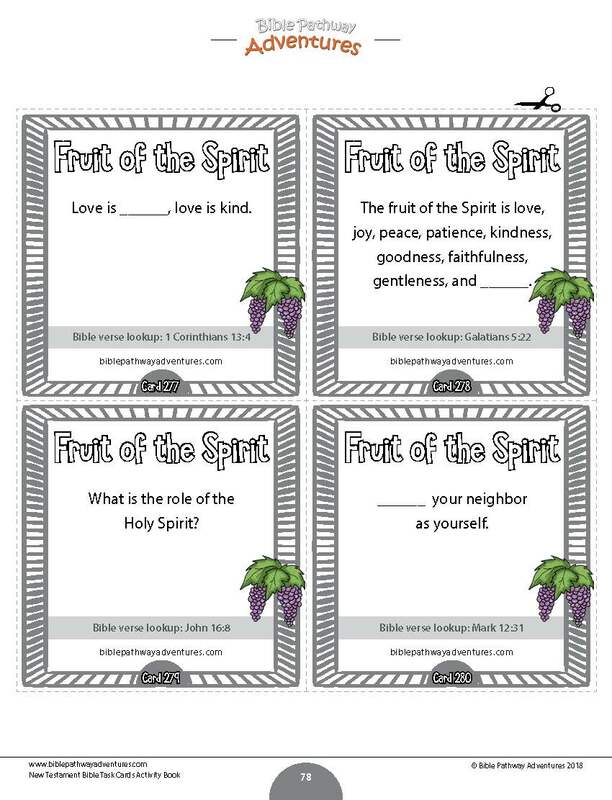 Our New Testament Bible Task Cards activity book is packed with task cards to help you teach your students about the Bible in a fun and engaging way. 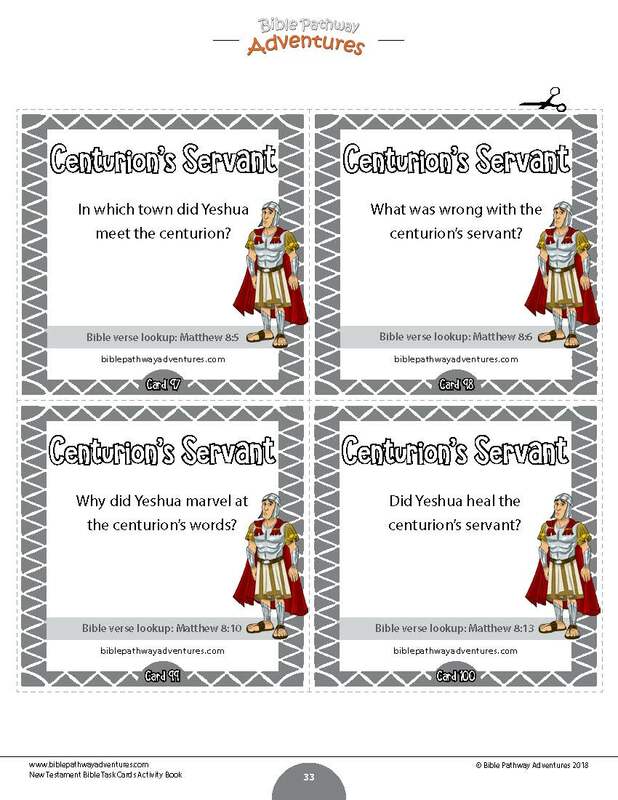 Includes 70 task card sets covering the New Testament – that’s 280 questions! 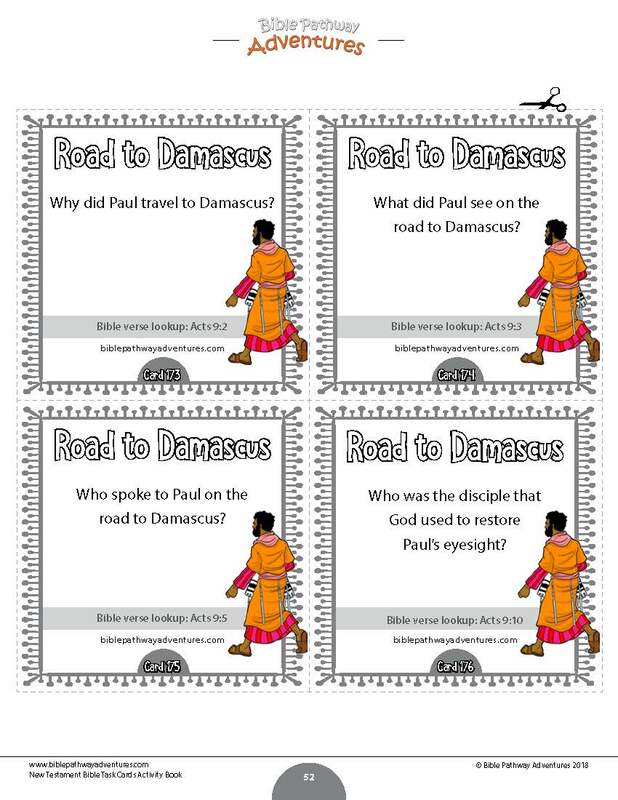 Each task card features a quiz question, original Bible cartoon, and a reference scripture for students to look up. 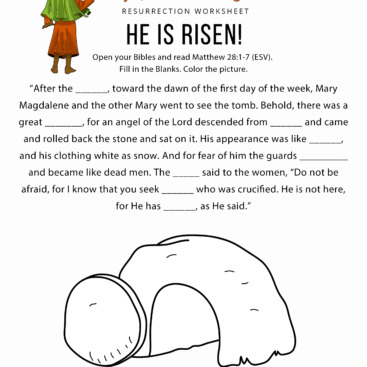 These activities are supplemental and can be used after your students have been introduced to the New Testament. Task cards are great for active learning, extra practice, intervention, review, Scoot, small group study, whole class instruction, and class competition. 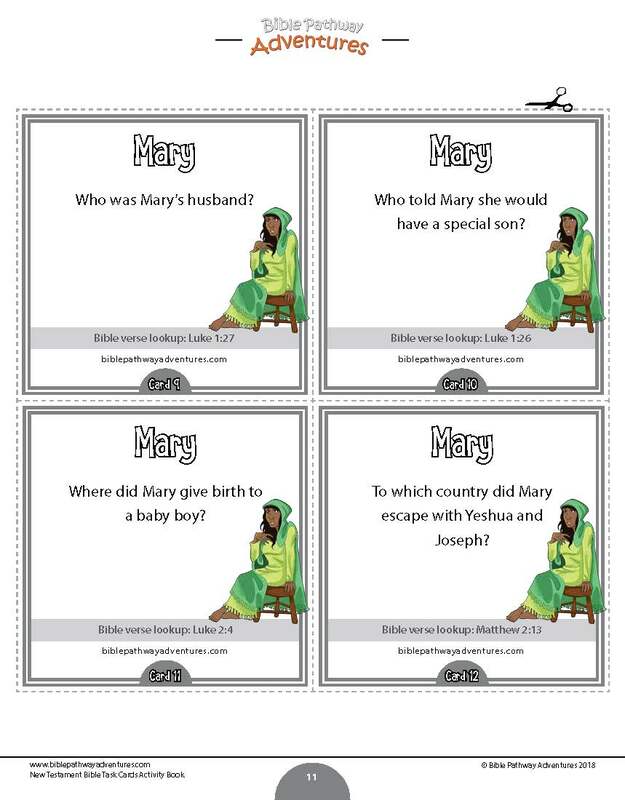 View the preview to LOOK INSIDE or download your FREE sample New Testament Bible Task Cards below. Son for Zechariah, John the Baptist, Mary, Birth of Yeshua, The shepherd’s visit, The Magi, Presentation in the Temple, John baptizes Yeshua, Wedding at Cana, The Disciples, Judas, Loaves & Fishes, Temptation in the Wilderness, Sermon on the Mount, The Lost Sheep, Good Samaritan, Parable of the Talents, Prodigal Son, The Sower, Woman at the Well, Zacchaeus, The Gadarene Swine, Death of John the Baptist, Rich Man & Lazarus, Centurion’s Servant, The Faithful Servant, Raising of Lazarus, Calming the Storm, Jairus’ Daughter, Mary & Martha, Temple Traders, Transfiguration, Triumphal Entry, Last Supper, Gethsemane, Yeshua before Pilate, Crucifixion, Road to Emmaus, Resurrection, Ascension, Angels, Armor of God, Death of Stephen, Road to Damascus, Paul on Cyprus, Paul visits Lystra, Barnabas, Lydia, Paul & the Slave Girl, Paul in Prison, Paul & the Bereans, Timothy, Paul visits Athens, Priscilla & Aquila, Paul in Corinth, Plot against Paul, Paul before Agrippa, Shipwrecked!, Peter the Healer, Peter in Prison, Peter & Cornelius, Passover, First Fruits, Pentecost, Sabbath, The Temple, Capernaum, Mary Magdalene, Philip & the Ethiopian, and the Fruit of the Spirit. 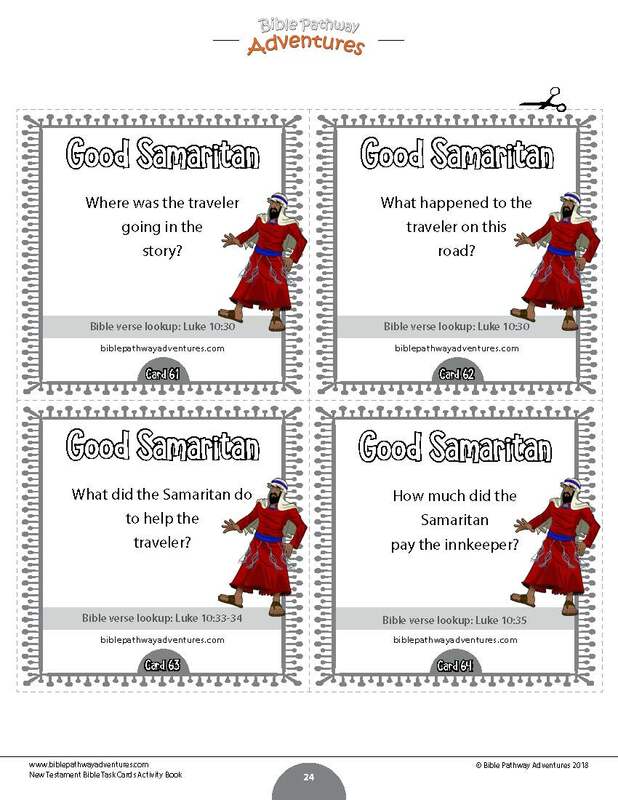 Click the button above to download your FREE sample New Testament Bible Task Cards Activity Book. 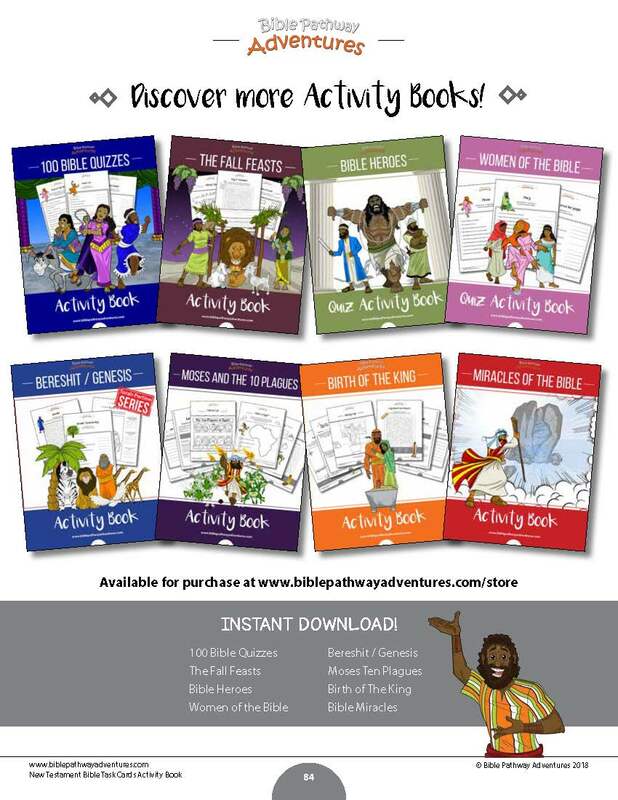 Or click on a cover below to view more Activity Books in the series.